Krystyna Nowak was honoured as the 2014 iSchool (SLAIS) MLIS Co-op Student of the year for work term with BGC Engineering. 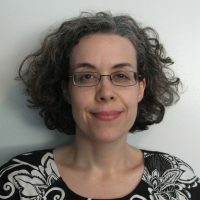 As the Student Librarian at BGC Engineering, Krystyna’s responsibilities ranged from delivering in-depth research and research analysis services to BGC employees, providing new employees with orientation to the library, and completing an entire redesign of the library’s intranet site. 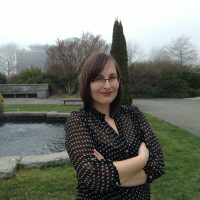 The Arts Co-op Program is thrilled to recognize Kristina McGuirk as our UBC iSchool (SLAIS) Master of Library and Information Studies (MLIS) 2017 Student of the Year! Kristina has won distinction based on her tremendous performance at BGC Engineering and commitment to personal development. 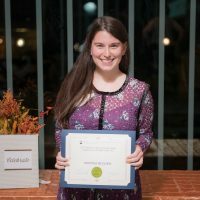 Jennette received an honourable mention for the 2016 iSchool MLIS Co-op Student of the Year Award. As the Summer Intern Librarian at BGC Engineering, she spent most of her time in library operations, assisting with reference and cataloguing services.